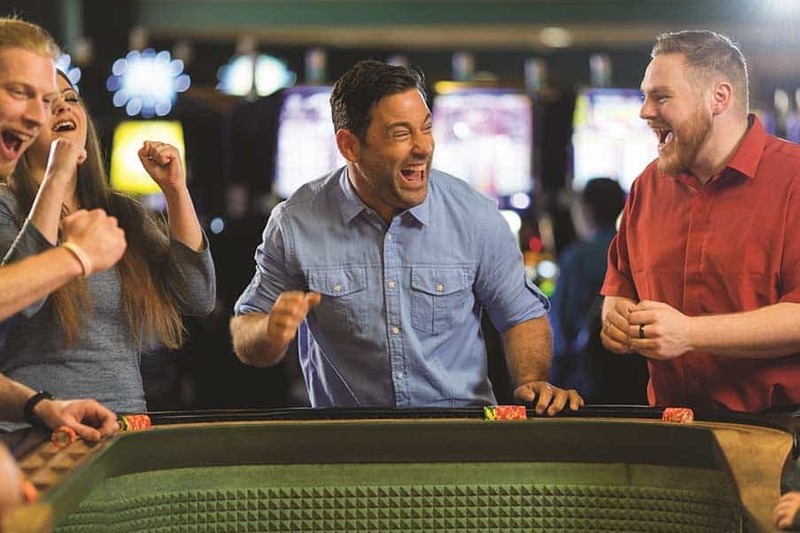 Whether you’re a regular or it’s your first time coming to The Mill Casino • Hotel & RV Park, we want you to have the best experience possible. There are so many different things to do both inside and outside of the gaming floor that you won’t want to miss. As you get ready to check in, follow these tips to help you enjoy your trip to the fullest. A trip to the casino just wouldn’t be complete without casino games. We have a large variety of table games, including blackjack, craps, roulette and Spanish 21. Check our website for current table game hours. You’ll need to have some prior knowledge of the rules before playing, so stick to the games you feel most comfortable with. Remember to avoid big bets early on, so that you can spread your funds further throughout your stay. We also have 700 slot machines that change on a regular basis, be sure to stop by to see what’s new. Pick one or a few that calls out to you. When you’re not playing casino games, spend some time enjoying the other amenities that The Mill Casino has to offer. The pool is open until 10 pm for kids or midnight for adults over the age of 18. There’s also a sports bar and an events center, where you can catch your favorite live entertainers. Look at the events calendar to help you plan your stay. When it’s time for a bite to eat, there are several dining and bar venues to choose from. While you’re at the casino, take some time to explore the beautiful natural scenery around you. Watch the freighters as they head out towards the ocean, take a walk along the beach or make a day trip over to Shore Acres State Park. Because Southern Oregon enjoys pleasant temperatures all year round, it’s easy to get out and explore no matter what season it is. If you need more help planning the perfect getaway to The Mill Casino • Hotel & RV Park, we’ll be happy to help. Stop by the front desk to get brochures and more information, or contact us now online or by phone.